So this is going to be a very very special blog post because I’m thrilled to be featuring one of my finest mom friends (aka support system) , who btw is also someone who’s been there, done that, when it comes to “Early Intervention.” For those who are looking for treatments for speech and developmental delays, I hope this little interview will familiarize with the methods and what EI is particuarly w.r.t Speech Therapy. 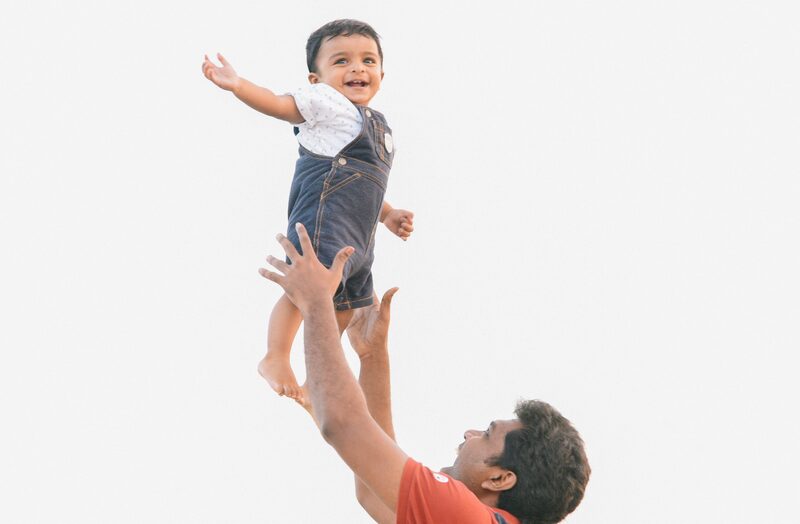 A little about Alarmathi , who blogs at From Sisters To Mommies : She is a Non residential Indian who is at the US right now and a mother to a lovely 2.5 year old Jivin. Not a lot of people choose to speak about this, which is why I thought it made for a great topic for a first guest interview post. I have chosen to use a Q&A style, with the questions in bold for easy reading. So first things first, tell us what exactly is early intervention? “Early intervention” is a support system for children with developmental delays and their families. This usually is provided for kids from birth to 3, who do not meet their milestones at the proper stage, in their natural environment, before they qualify for the preschool. How did you realize your baby needed early intervention? It was not until I took Jivin to an early childhood class in our library, I realized he lacked many skills that babies his age do. What bothered me the most was that he never understood what clap meant and he never waved bye . Those are some of the basic skills done at 8-9 months. At 12 months babies are expected to speak 4-5 words but it was 15 months and Jivin never uttered a word. One of his teachers from his class made a home visit and suggested “early intervention”. So, What happens in Early intervention? What do they actually do in it? Well! Here is my experience. Based on the results, they come with a plan for the kid and this plan is for up to 3 years. Jivin reportedly was having developmental delays in all five domains, which included his habit nursing to sleep (They mentioned this as his inability to adapt). I was surprised as I am totally aware of people who nurse till they are preschoolers, I dint find anything abnormal in extended nursing. Still, we went with their plan, as we knew something good is bound to come out of this. As we started all these in summer, we received very less sessions over the summer (probably just 4 sessions in 3 months). Once the schools reopened our actual therapies started, with a weekly visit by a special education teacher and monthly visits by occupational therapist and speech pathologist. Over the summer, Jivin developed few skills which he was lacking. Like, clapping, waving, identifying a bus, pointing to objects and asking me to name them. Then during the fall, with continuous therapy there were gradual improvements in him. They introduced him with sign Language. He grasped a couple of them “more”, “all done”, “eat”,”sleepy”. Within a couple of months he spoke nearly 20 words which was huge for us. We then traveled to India for a vacation, where he saw the dogs, cats and cows that was in pictures only (you don’t find stray animals in US). The people in the iPad (Facetime chats) were in front of him… lots of interaction and exposure made him speak and understand more. It was a huge development according to his teachers. From 20 words, he spoke number of words which I couldn’t count. Now He speaks 200 plus words. He speaks sentences forming 2-3 words. Since yours is a cross cultural early intervention experience, I’m wondering if the language barriers for li’l J had an effect on the EI program…? Initially, for the evaluation that I mentioned, we will be provided with an interpreter (a person who knows both English and family’s language). But our interpreter arrived late and we did good without him. When I started EI for Jivin, He never spoke. I don’t even know if he understands English or Tamil. So, I was open to Jivin learning any language of his choice. Interestingly He chose Tamil , while he uses certain words in English. I wouldn’t say that came in way. Because the whole purpose of EI is to make the child meet his milestones. Like by age of 2 he needs to know 50 plus words (any language). I became the interpreter for my son and teachers, when he has difficulties in following I would simplify the words for him to understand. That’s amazing… 🙂 What toys helped u most in this journey? Reading books, wooden board puzzles from M&D ( I had only one kind that had farm animals), train tracks, trucks that pops balls, when he reached around two, he got interested in building stuff using blocks, magnetic blocks. What books / blogs / resources did you find helpful ? Like you have mentioned before in your blog, I too am a great believer in the balance between structured and unstructured play. I try and follow various blogs, Mumma diaries by Amruta and little fingers at work are the blogs I regularly follow. I try to catch up with The Dad lab on Instagram and Proeves blog where they find different moms and make them share their experience. Apart from this I am a member of several mommy groups where I get inspired with certain ideas and try to make it for Jivin. Regarding books for Jivin, we had a lot of baby board books containing pictures majorly. I live in a place where its winter like half of the year, you cant find animals straying in streets. So, books were the only way to give Jivin an exposure. Books like, my first 100 words, touch feel books, animal sounds books. These books helped us when Jivin was a baby. Later as he grew up, The hungry caterpillar, Brown bear brown bear , Chicka chicka boom boom , llama llama series, Dr. Seuss series, Pete the cat series( our latest addiction). During your weekly visit by a special education teacher and monthly visits by occupational therapist and speech pathologist , what did these guys do? They bring in some interesting activities, toys, puzzles, books age appropriate for him. There are lots I will not be list all in this small space But I will tell you couple of activities One day his teacher brought a collapsible tunnel and he was asked to go through it, the next activity was to ring sorter. After 15 mins, he was asked to do it simultaneously, like go through the tunnel sort the first ring, then again go through tunnel sort the 2nd one. Its like a structured play, to make him understand the routines. When there is a OT visit, she brings activities for his fine and gross motor skills like beading (threading), putting cards in a slot, pipe cleaner in a box, activities that uses both his hand together like catching a ball, scooping by a spoon while holding a bowl in other hand, Pulling scarves out of a box using both hands, stacking blocks, peg stacker. When there is a SLT visit, there is a lot of reading books, matching pictures, she started with sign language when he was not speaking any words. We started with asking for “more” in sign language, which worked really well. They would hide things are asks him to prompt for more and give him stuff which made him understand the sign language. The special education teacher brings in different activities every week which is related to something that other two have asked Jivin to work on that month. By the 4th Visit, Jivin understood they are going to bring him something interesting and he would run and sit a place waiting for them to open their bags. When we were on a vacation to India for a month his teacher mailed me with some interesting activities to do in our flight journey. That was really helpful. In addition to books and toys did you use any other aids or activities at home? Jivin wasn’t a person who was very much interested in toys, He rather liked playing with kitchen utensils. Mixing bowls, empty containers, idly plates, placing a whistle for a pressure cooker, all these helped with his motor skills. Uncooked pastas, beans scooping in and out, transferring between bowls. A empty carton box thrice his size entertained him for a month Apart from these, daily activities like peeling banana, pomegranate, oranges, Using plastic knifes to cut vegetables, washing vegetables, vaccuuming the house, doing the laundry, putting clothes in and out of washer dryer. Like the saying “make hay while sun shines”, whenever a little bit of sun shows up We hang out a lot . My apartment residents who meet me for the first time, ask me you are one who’s always on the street with your kid. haha! Do u have any idea about early intervention in India? I’m not sure about early intervention in India, But I do know when kids do not speak by 2 they recommend speech therapist. Apart from this, there is facebook group run by professionals who help you with early childhood skills development. They conducted online seminars and lectures for parents: Early childhood development and parenting India is the group name. There are moms who are going to a new level by educating themselves in early childhood education and getting certified in it. I remember seeing one such mom being mentioned in Proeves blog. Why is early intervention an absolute must? Why shouldn’t you shy away from it? When you child isn’t speaking words (like babbling sounds) by a year. There are 2 kinds of advice you get: 1. “Go to a speech therapist right away” or 2. “My uncle spoke only when he was five so don’t worry”. I was also in similar kind of situation. Then I thought what would Jivin want? At that time he used to get frustrated for not being able to express his needs, I would feel guilty for my inability to understand his cries. That was a age where kids would show some signs of communications to their parents. I felt, we were doing something wrong. We thought we needed a guidance as a parent to go in the right direction. So, We went ahead with the EI. There is no need to be shy in taking help. Just because you gave birth does n’t mean you can read their minds all the time. As a woman being a mom is just one of the roles, you have lots in mind sometimes you don’t get them you need help to understand your own child and its okay. The other reason I would say is making them feel their age. We might think he is just a year old not hearing babbles from him is not a big deal. But this delay might further delay the next milestones related to this one. So once you fix this, you are making your child ready for his next coming milestone. So by the age of 3 when they are ready for preschool your child has all necessary skills required for a 3 year old. Early Intervention or speech therapy is not making them say thirukkural and thiruvasagam. Its making them do the age appropriate stuff as a normal other kid would do. Thank you so much Alarmathi! I can’t imagine how big a deal this is, so KUDOS to you for getting things back on track! Woot! If any one reading this has any queries you could post those as comments in here and our expert will be happy to take it! Thank you for the encouraging comment Kavitha. I m happy you stopped by. Thanks for sharing your story. I can imagine this must have been a hard experience for you to go through but you are really helping other moms by sharing this.